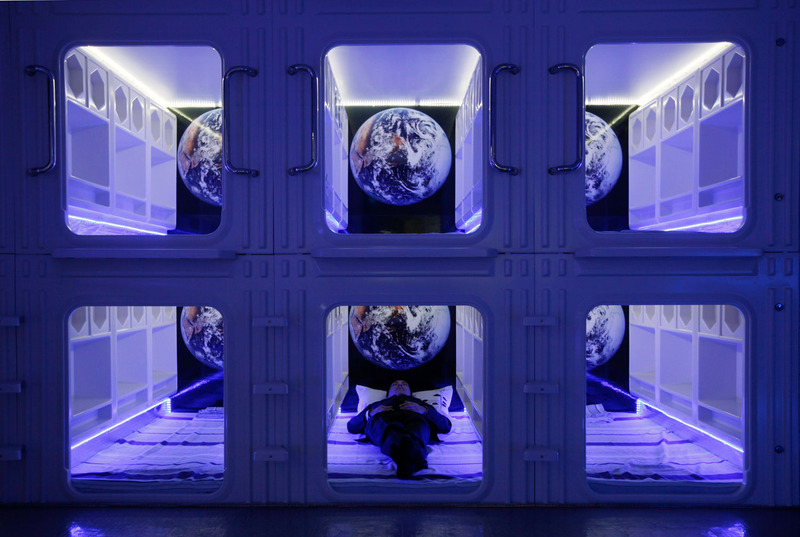 Capsule bed manufacturer Eric Wong poses inside a modified capsule bed which imported from Japan in his showroom in Hong Kong Saturday, Jan 7, 2012. The bed has installed air conditioner, TV and audio facility which mainly targets on the mainland China's travellers and Hong Kong based university students, for rent around US$30 per night or US$450 per month. 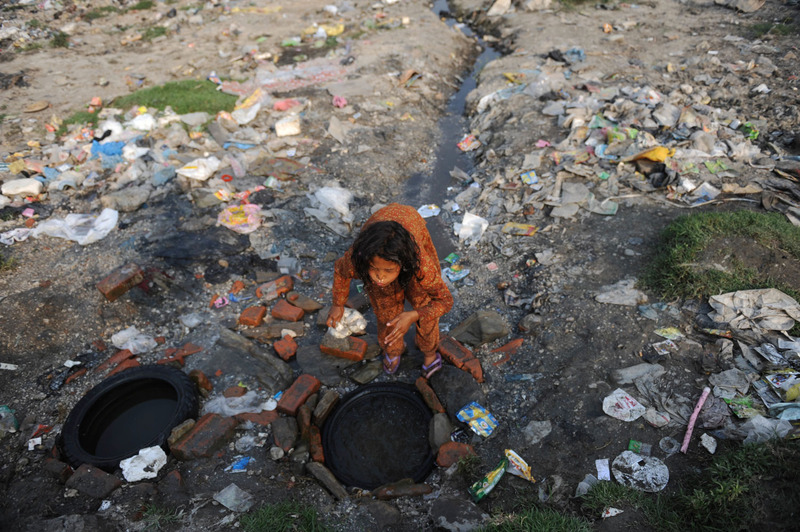 Photo taken on May 24, 2012 shows a girl washing herself by the riverside of Bagmati River in the eastern part of Kathmandu, capital of Nepal. Can an unpurified river purify a man spiritually? Standing on the bank of the Bagmati River in the Pashupatinath Temple to watch dead bodies being cremated, tourists were shocked by the contrast between the Hindu beautiful belief and the ugly reality of this holy river. Originating from the northern hills of Kathmandu Valley, the Bagmati River flows through the valley and separates Kathmandu, capital of Nepal, and Lalitpur. The famous river of great importance for Nepal has been under onslaught from riverains and small hotels and restaurants directly discharging sewage and dumping garbage and waste. 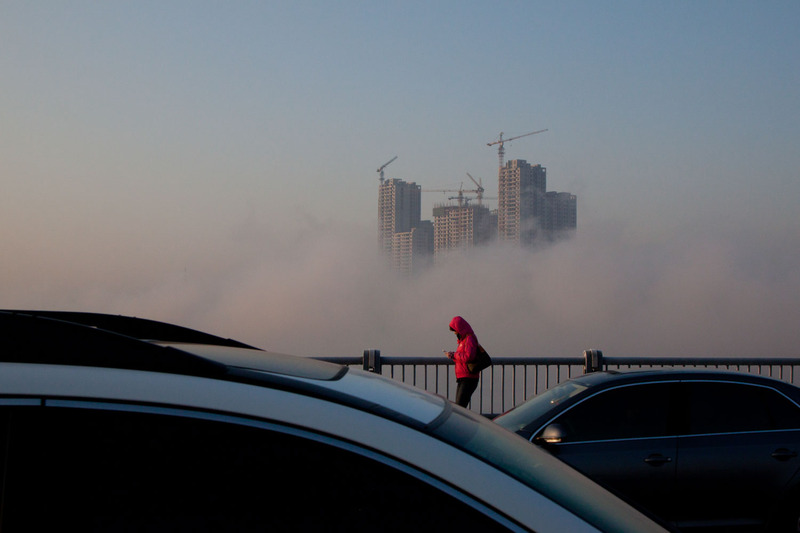 With such an odious sight, there is no riverine beauty, only an unpleasant odor carried far by the wind blowing onshore. Before entering the urban area of the valley, the Bagmati River has been polluted by agricultural and human waste. Its situation in down town areas is worse than the upper areas. About 100 metric tons of garbage has been collected from the river with the advent of the World Water Day on March 22 every year. However, it does not help much for the improvement of the environment around the Bagmati River and the pollution here has already threatened the health of locals living near the river. Participants in the river cleanliness campaign said that few take scared bath which mourners are supposed to do after cremation according to Hindu religious tradition in the Pashupatinath Temple, a World Heritage Site in the eastern part of the capital. Furthermore, in the rainless months, the Bagmati River, like other downtrodden rivers in the valley, has shrunk in size and become a rivulet, indicating that urban development has put too much stress on river systems. 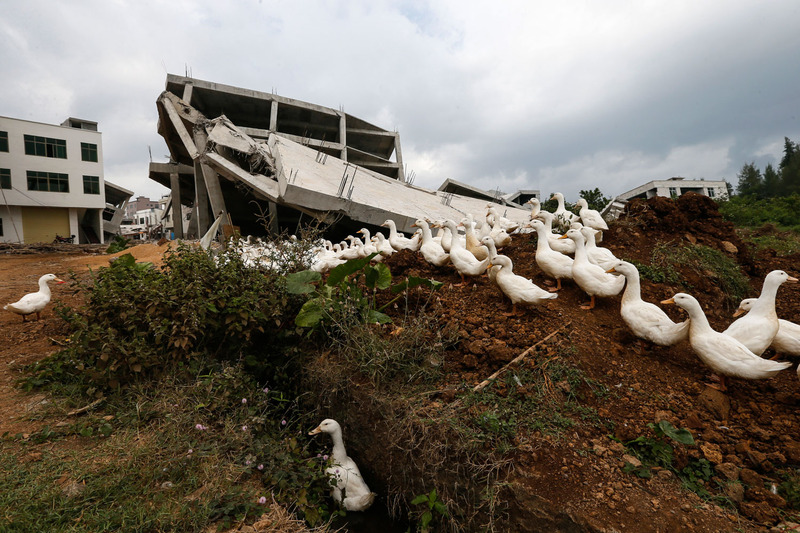 A flock of ducks stands in front of the ruins of a house being forced down by the government to build a highway leading to a golf site in Haikou, in China's Hainan province October 22, 2012. 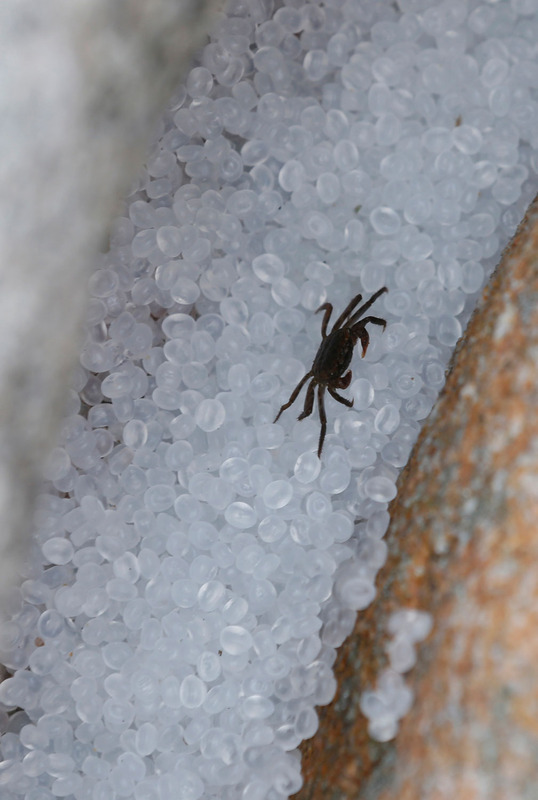 A crab walks on the plastic pellets alone on a bank of Lamma island in Hong Kong Sunday Aug. 5, 2012. 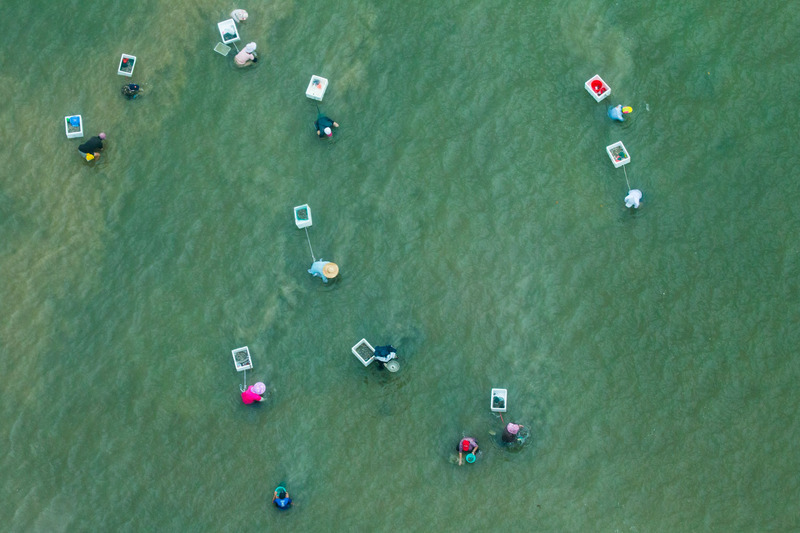 Hong kong government said half of a one 150-tonne cargo of plastic pellets which spilled into the sea during a typhoon "Vicente" two weeks ago has now been cleaned up from the territory's waters and beaches. and some of the pellets had drifted into fish farms.